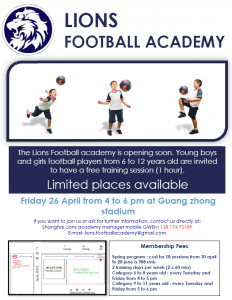 Lions to open their Youth Football Academy on April 26th! After we successfully launched our U18 team this season. We are now ready for the younger ones. We have developed a special youth training program for boys and girls aged 6-12 years old. 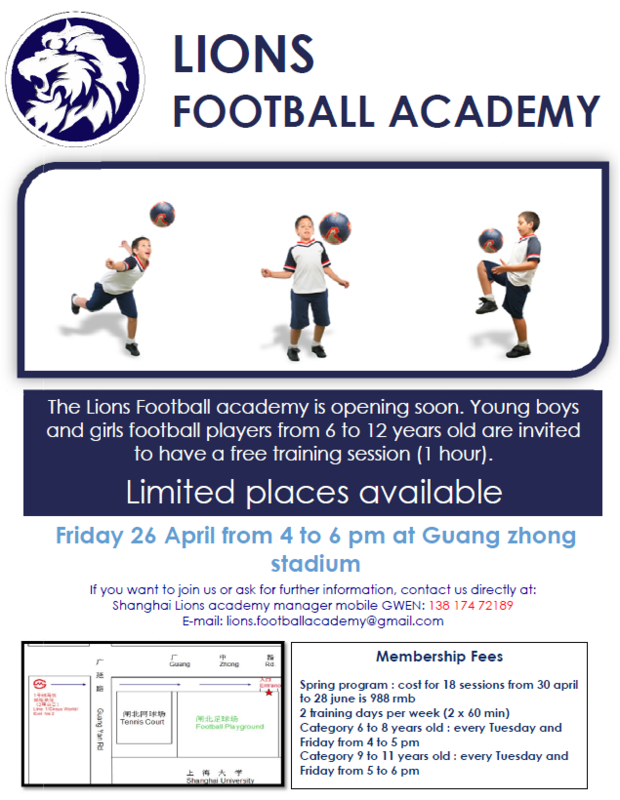 We like to invite everybody interested for a free trial training on April the 26th at our regular Lions training field. Please click on the flyer for our exact location. From 1600-1700 for 6-8 years old and from 1700-1800 for 9-12 years old. The training session will be twice a week on Tuesdays and Fridays and lead by some of the best football players in Shanghai Kevin and Azzeddine. Gwen our long term Lion will take care of the management of the academy. 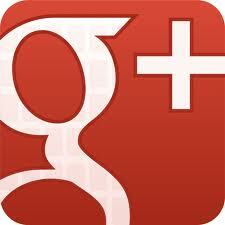 Please contact him if you have any further question gwendallvolant@gmail.com / mobile 13817472189. 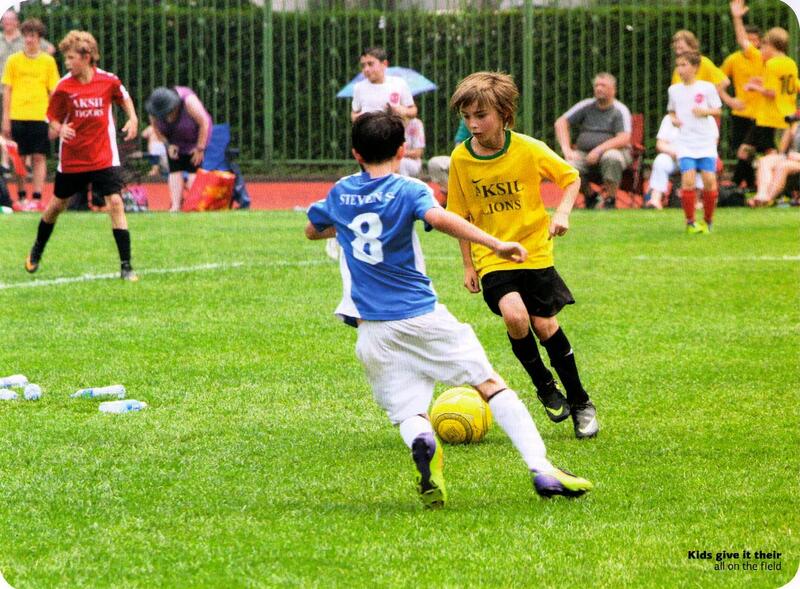 Do you want your son or daughter to be part of a real Football Club in Shanghai ? Please let them join the Lions Academy! Let’s build together on a good future for the youngest players ! Lions U18 complete training No 7 ! We are almost done with our training sessions of 2012 ! We are pleased to see that most of the boys didn’t miss a single training session. For a football player training is essential first of all to improve your skill and secondly to improve your match fitness. For a Youth Football player its even more important as especially on the skill front there are many factors to improve like the “first touch”, ball control, shielding with your body,speed with or without ball, passing, shooting etc… All the training efforts you put in will pay off and it will make you a better and stronger player. Especially the position plays are essential to understand and to learn from. We all know that Barcelona are the masters of this play you never see them passing a long ball because a long ball can be easily intercepted by the opponent, instead they stick to short passes and are able to keep the ball into possession for a long spell. The key success of Barcelona is the training as they are practicing this game form day in and day out and they became masters of their own skill. Our advice is to never miss a training session if you want to become a better player ! 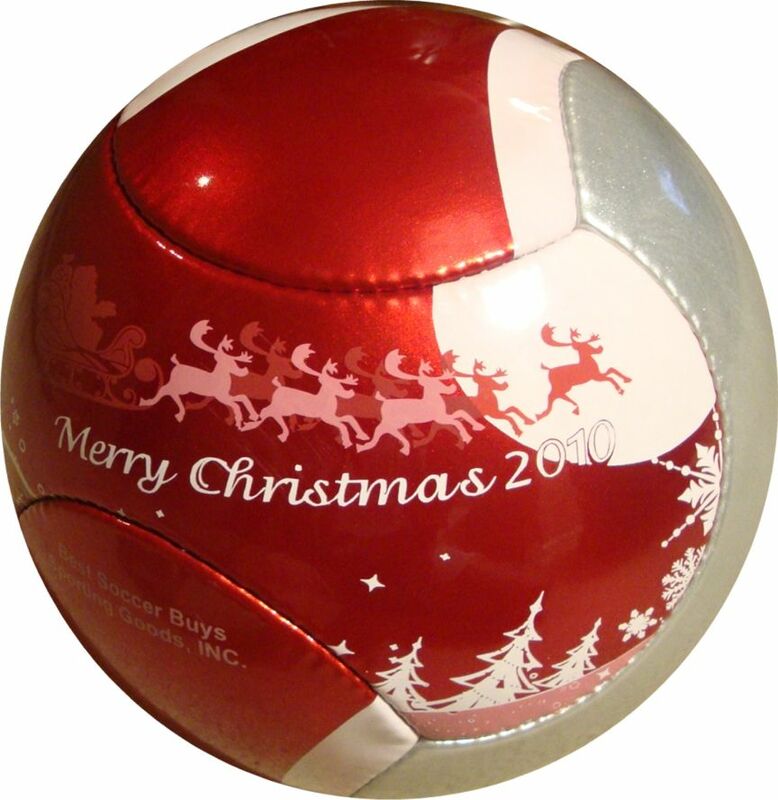 16/12 – Santa Cup 1100-1630 at Waigaoqiao 8-aside / 16 teams men’s tournament ! Keep working hard young Lions we have a great U18 team and we enjoy to work with all of you ! 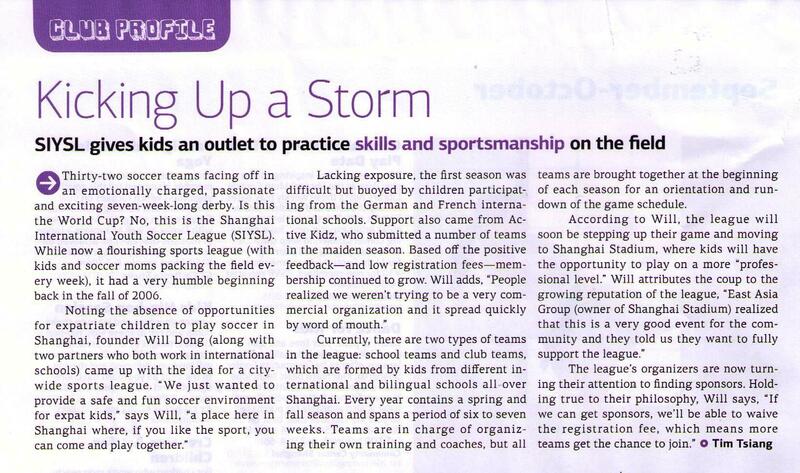 Lions support Coerver skill training U10 and U12 youth in Shanghai! We are pleased to offer your son or daughter the possibility to improve their Football skills as an individual player ! Attached you can find the introduction of Coerver skill training’s method which is renowned world wide! We will start with the U10 and U12 group first with a maximum of 20 players per group and we will work on a first come first serve basis. Any question feel free to ask. 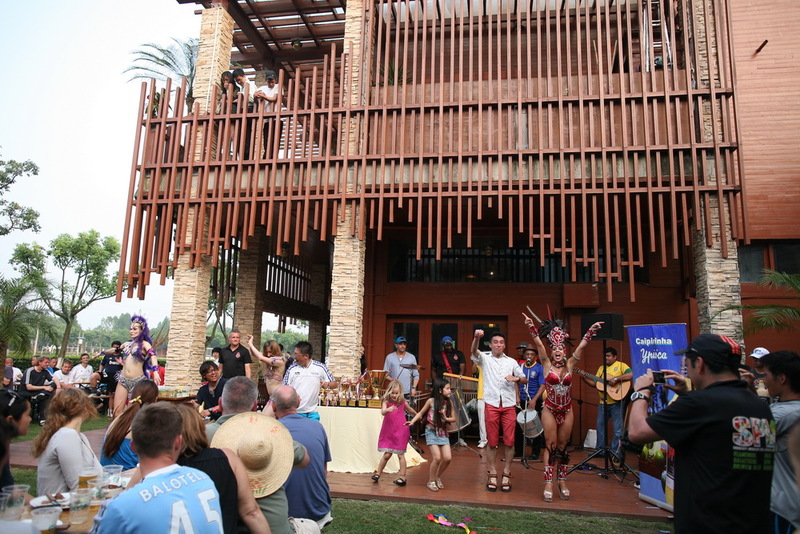 We will start once we have the first kids registered could be as soon as 9th of November!